Worried about an accident when you ride with Uber or Lyft? Now you can get an insurance policy from your phone for the ride too. Startup Sure Inc. announced Thursday that it has partnered with underwriter Chubb to launch a new service called RideSafe that allows passengers to buy accidental medical, death and dismemberment insurance coverage for the ride. Ride-hailing companies typically provide liability insurance coverage for U.S. drivers that would cover passengers in an accident. Uber and Lyft, for example, both provide $1 million of liability insurance, which would cover bodily injury and property damage for the driver, passenger and anyone else involved in a potential accident. 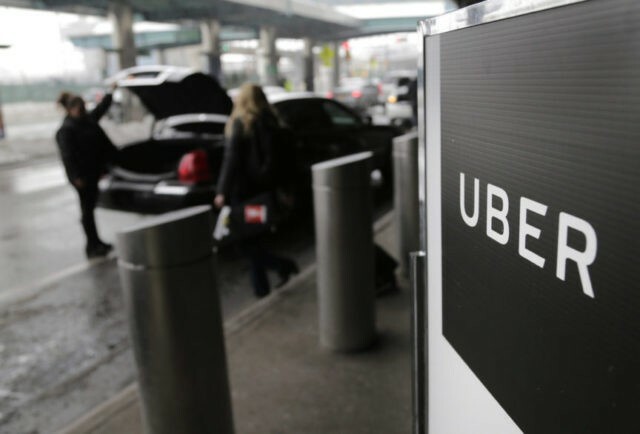 But Sure CEO Wayne Slavin said the ride-hailing company policies have strict guidelines as to when they take effect and in what situation they are applied. That may leave passengers footing the bill for some expenses. He says RideSafe is a means to cover some of those gaps, such as medical copayments or for times a company policy is not in effect. It’s unclear how often those situations arise, but those who want the added peace of mind can make the purchase through an app. RideSafe works by connecting a customer’s Uber or Lyft account to their Sure Insurance app, and once coverage is initially authorized, the passenger’s ride is automatically insured. The cost is $2.40 for 24 hours of coverage on any number of rides. RideSafe is available in 38 states. The company said future versions of the product will include coverage for passengers riding in autonomous vehicles used for ride-sharing and electric scooters. “They are going to need insurance that follows them, no matter how they are moving,” Slavin said. Sure is not the first company to try and address the changing needs of Americans as they find new ways to get around. Startup Trov announced last year that it was working with Waymo, Alphabet’s self-driving technology unit, to provide customized insurance for trips through the service to provide coverage for lost property, medical expenses and some trip interruption benefits.